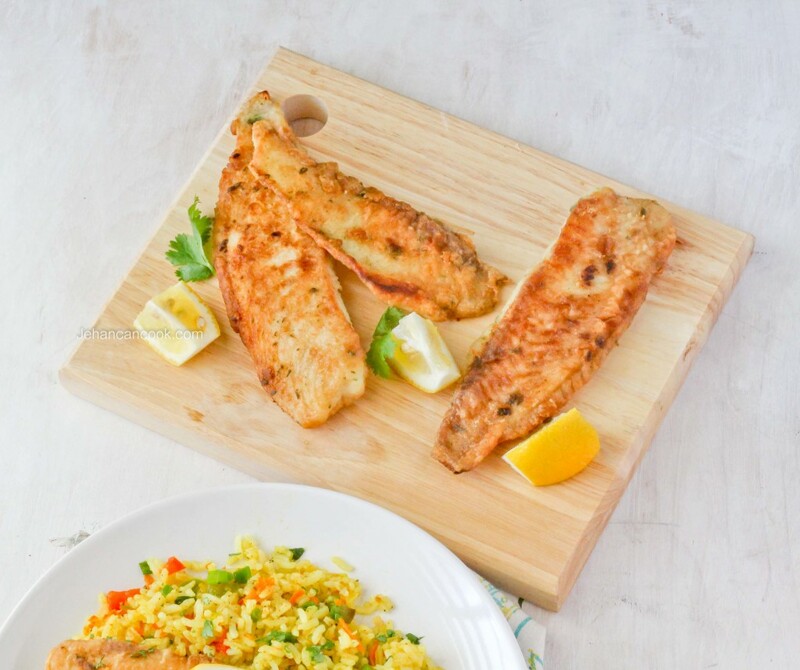 I didn’t have any intention of posting another fried fish recipe but I posted a photo of pan fried tilapia a few weeks back on Instagram and the received many requests for tips on how to fry fish. I was surprised by how many inquires because for me it’s quite simple. I follow a few guidelines when frying fish and it always produces perfect results. Lightly flour the fish, making sure to shake off the excess. This gives the fish a thin, crispy crust. Keep the fire on medium to high. Too low and the fish will soak up the oil and if it too high then it will most likely burn. Pay close attention to the ends. Once the ends are golden brown it is time to flip the fish. Season the fish well but do not overpower the flavor of the fish. 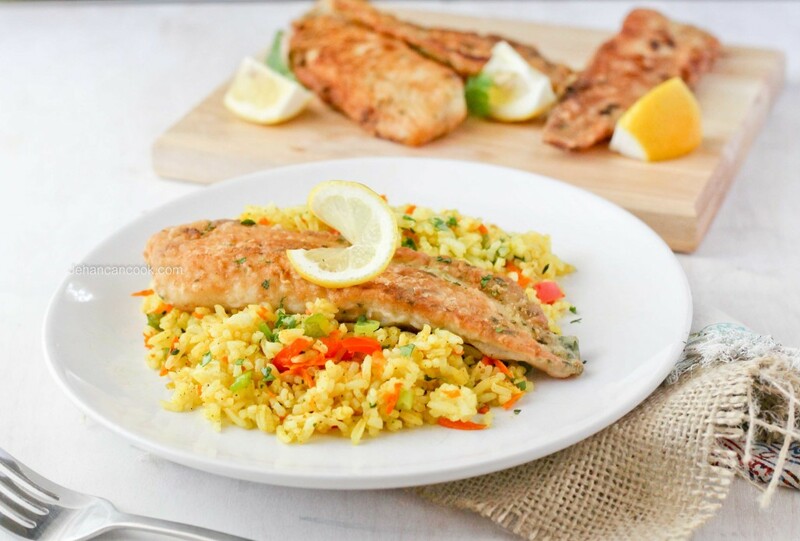 It is not necessary to season the fish overnight in citrus as it will not only cook the fish but it will lose its natural flavor. I find that these steps are the key to perfect, golden brown fish every time. Enjoy. Rinse fish well then place in a large bowl. 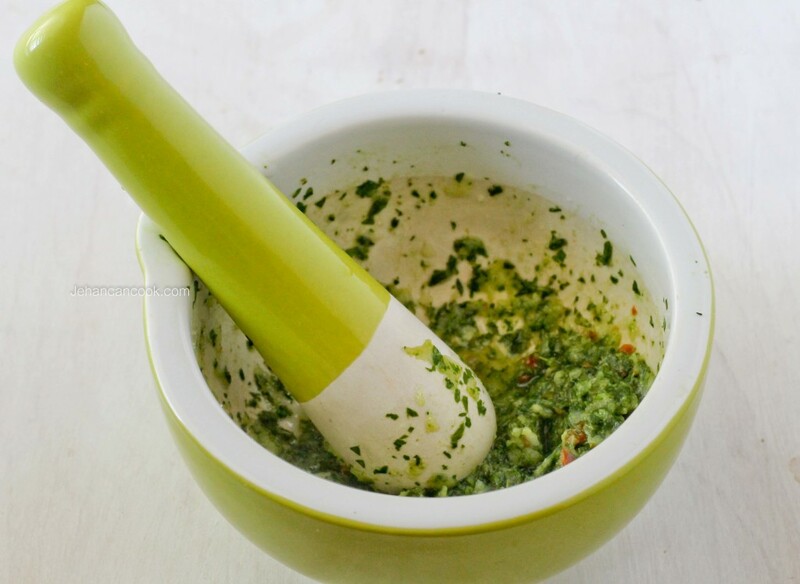 In a small bowl place garlic, thyme, cilantro, salt, lemon juice and pepper then mix. Rub seasoning mix evenly over fish then set aside for at least an hour. Place a cast iron pan over medium high heat with oil. Place flour on a plate. While oil is heating up, place the fish into the flour and lightly coat. Shake off excess. Once the oil in hot, place tilapia into the pot and cook until the edges are golden brown and then flip and cook for until the other side is brown, about 3-5 minutes. Place on a plate lined with paper towel to drain excess oil. Girl I so wish I had a plate of this for breakfast. It looks fantastic! 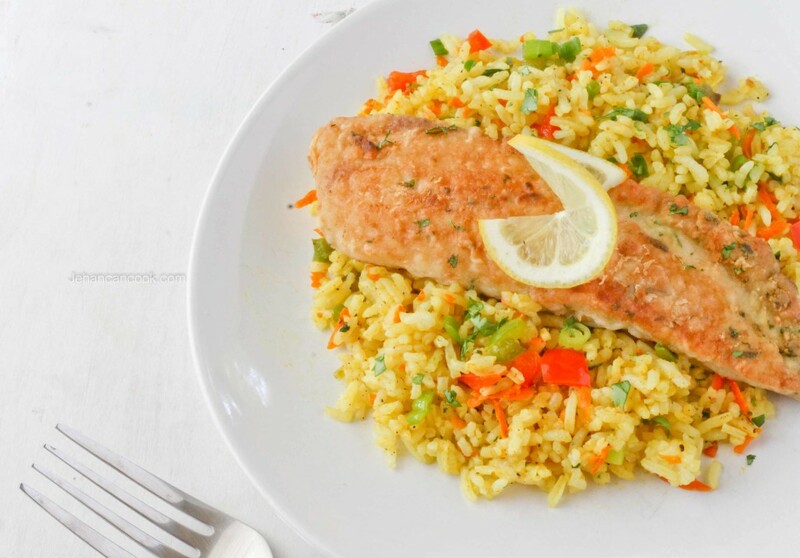 I buy and eat allot of Tilapia Fish, so this will be perfect for me to make often as a quick and go to meal as well easily and my take to work lunch. 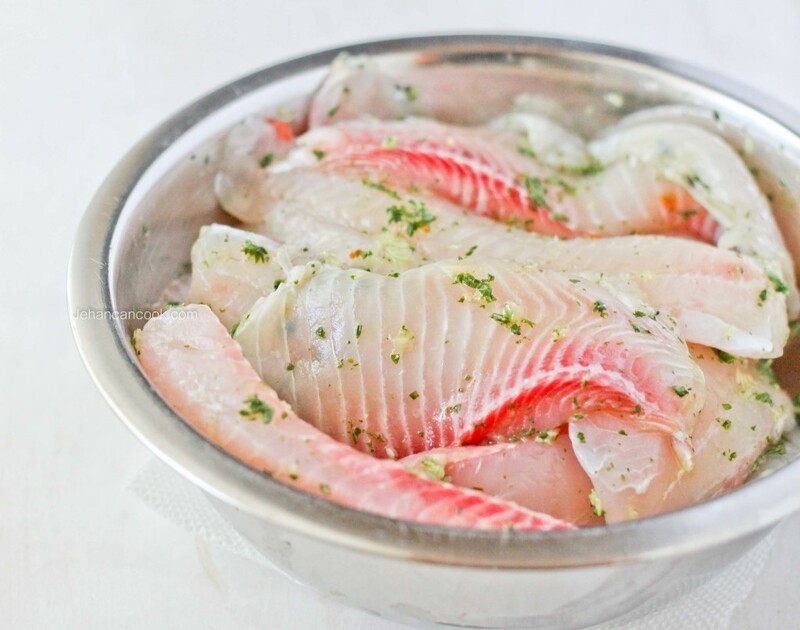 Tilapia is a really nice fish to buy often.